New Delhi: The death of farmers in Maharashtra allegedly due to pesticide poisoning highlights gross negligence, a green body said on Wednesday and demanded a ban on the use of toxic pesticides. The body also pitched for a Pesticide Management Bill to stop the unsafe use of such pesticides. The Centre for Science and Environment (CSE) said the death of farmers could have been avoided and pointed towards “complete failure” of agriculture departments in managing pesticides. “The death of farmers in Maharashtra due to pesticide poisoning is because of the gross negligence in pesticide management in the country. “The incident highlights the urgent need to fix several long-standing gaps in pesticide management in the country. Most urgently, India needs to ban the use of class I pesticides which are very toxic. Many of these are banned in other countries,” said Chandra Bhushan, deputy director general of CSE. Bhushan said pesticide poisoning had become a chronic problem in the country. In Maharashtra, pesticides such as Monocrotophos, Oxydemeton-methyl, Acephate, and Profenophos are believed to be responsible for the deaths and illness, the CSE said. 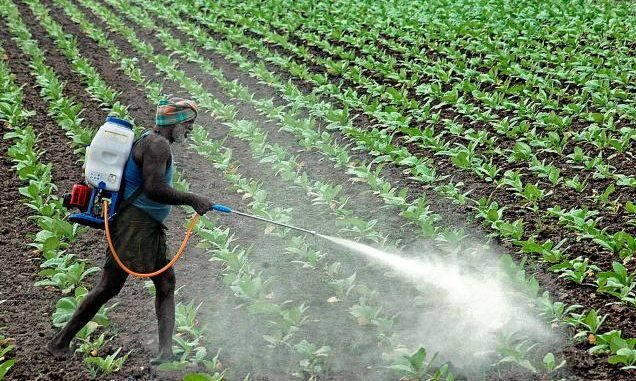 Pesticides like Monocrotophos and Oxydemeton-methyl are considered class I pesticides by the World Health Organization (WHO), which are further categorised into extremely hazardous (class Ia) and highly hazardous (class Ib). India still allows the use of these pesticides, many of which are banned in several countries. “While India urgently needs to address pesticide mismanagement from several aspects, the most urgent step is to ban the use of class I pesticides,” said Amit Khurana, senior programme manager for food safety and toxins at CSE. A total of 18 class I pesticides are allowed in the country. Such pesticides require personal protective equipment, but small-scale farmers and farm workers often find it difficult to access these, the body added.